Here is another one for the Fall ... moving into winter months. Deep ruby garnet in color with edges of burnt umber, like the earthy autumnal forest floor. Scent of aged balsamic and cedar, along with hints of incense/ash & anise spice waft from the glass to meet the nose. In a while, raspberry briar, boysenberry and ripe fig become apparent. On the palate, deep bing cherry, plum and dark wild berries, with a powerful yet integrated explosion of fruits and herbaceous woody herbs. Bright and spicy on the mid tongue releasing into warm earthy tones. This one is rich and layered given a little time in the glass, with a lean yet voluptuous finish. Amore! Enjoy with roasted meats, pasta with red sauce and portabello mushrooms, rustic cheeses ... or Chocolate! $17.99/btl. @ Rosemont Market, Yarmouth. 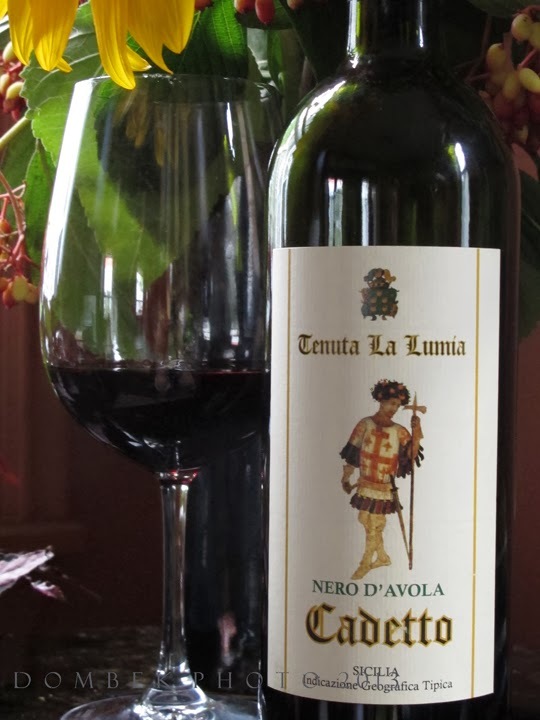 The family estate of Barone Nicoló La Lumia is located in southwest Sicily on the Licata plains overlooking the Mediterranean Sea and Continent of Africa. Indeed, the home around which the farm/vineyards is centered was built in Arab style of architecture by the Lumia family in the 18th century. They use only indigenous estate grown grapes to make their wines, creating such purity and intensity of complex and beautifully integrated flavors. In addition to Nero d'Avola, Inzolia, Nerello, Mascalese and Frappato are grown. Baron Nicolo 'and his son Salvatore are committed to carrying on the ancient traditions and knowledge of their ancestors while being mindful of the need for constant evolution in their winemaking. The unique terroir of this hilly Sicilian land bordering the coast certainly shines through in this wine. Imported by Tricana Inc., Plainville, NY. Distributed in Maine by Wicked Wines, Bangor, ME.